Hello folks I know some of you have been curious regarding the Custom Hybrid IEMs that I had introduced earlier. Well I have been given the Ok to release more information regarding the company. The companies name is "Tralucent Audio". 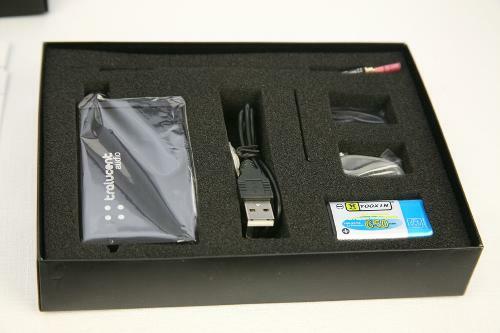 They are based in China and should be live for sales on August 28th, 2012. 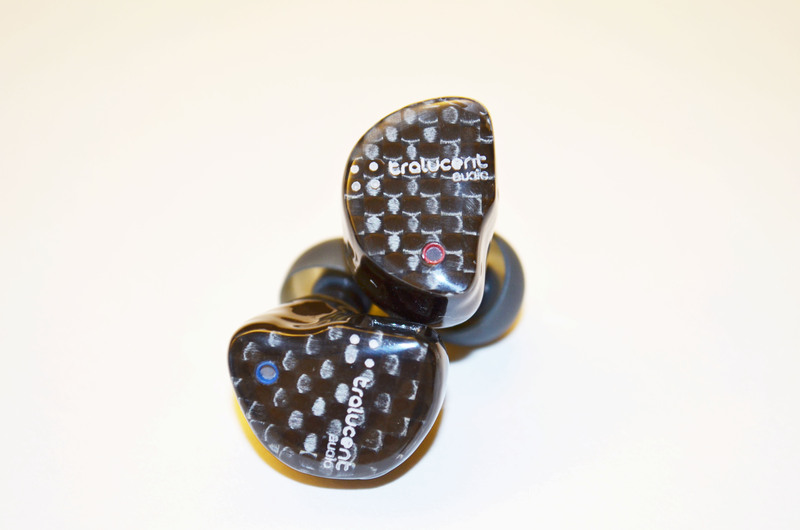 The name of the Custom Hybrid available is called Tralucent "1Plus2" (1 dynamic and 2 BA drivers in each side). 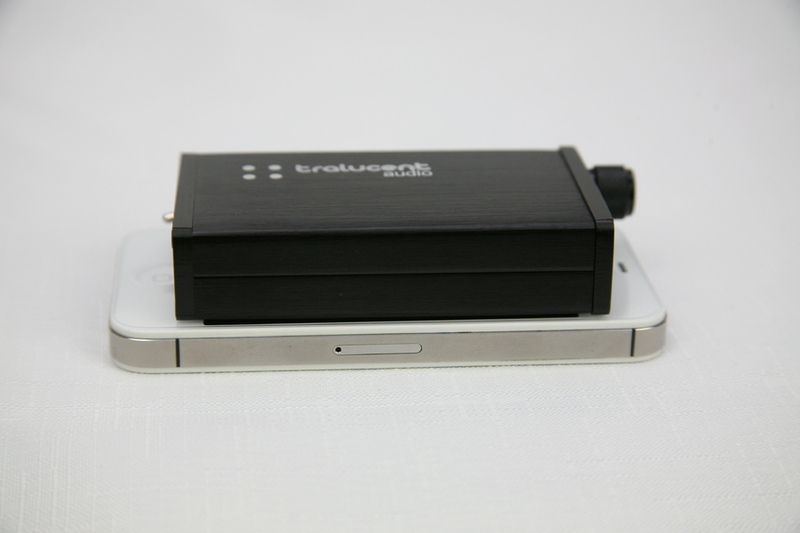 They also will have their own portable amp available called the Tralucent "T1" Amp. I do have a demo unit on hand as well and will go into more detail on that shortly. 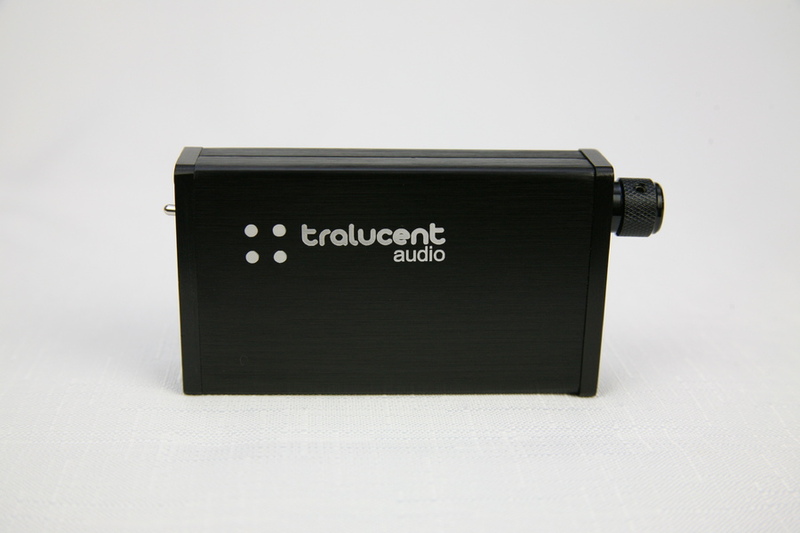 Tralucent Audio has also obtained distribution/reseller status with Triad Audio so they will be carrying some of their products such as the L3/LLP. 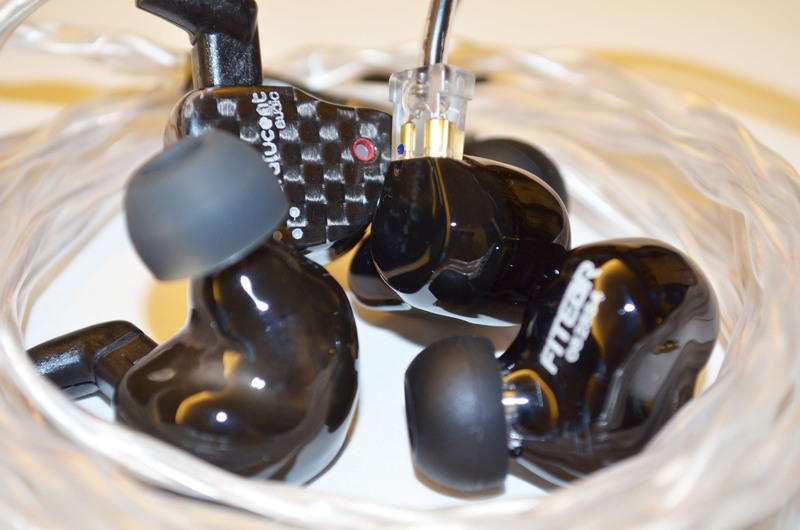 "Introducing the new Hybrid 1Plus2 Universal Fit Custom Made In-Ear Monitors. Through innovative research and design, Tralucent Audio, has possibly made the most balanced and coherent sounding IEM in the market. 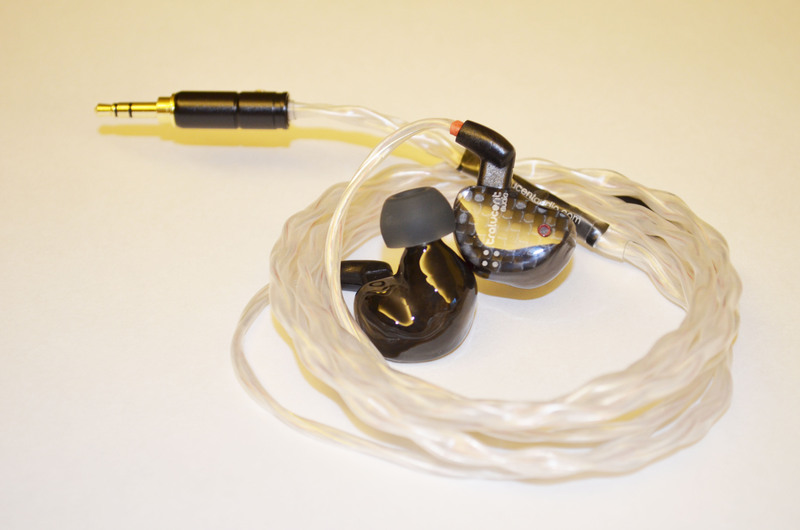 The Hybrid 1plus2 utilizes a revolutionary design by eliminating the use of sound tubes which results in an IEM that is void of any coherency issues in housing a dynamic driver with BA drivers. 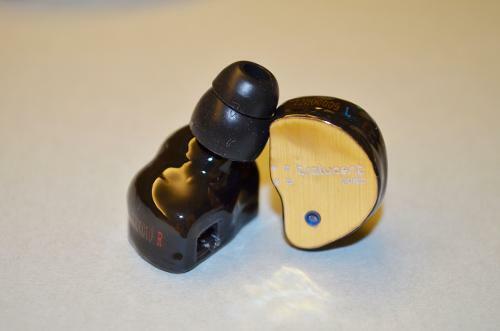 The Hybrid 1plus2 uses a huge 10mm Dynamic Driver to deliver accurate and extended bass response and teaming it with the clarity and well known accuracy of the Knowles TWFK series BA driver." 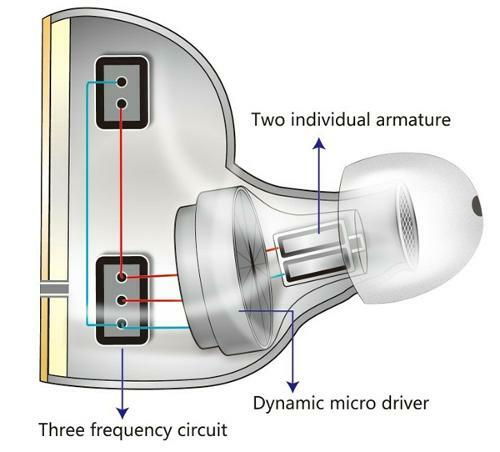 "By placing the BA driver directly into the large bore stem and the dynamic driver behind, whilst tuning the vented shell, we were able to achieve stunning bass response that until now was rarely available in IEMs. Coupled with careful proprietary tuning, the resulting sound quality is immediately apparent on the first audition of the 1plus2. 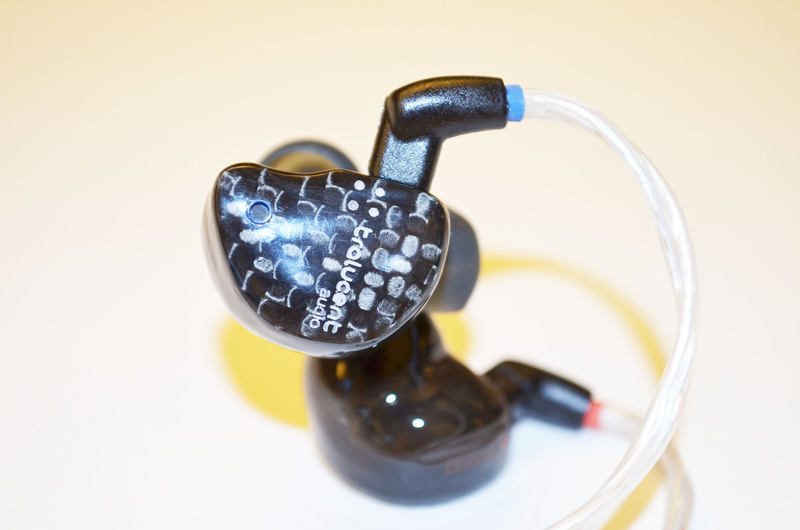 The bass is tight, punchy and thunderous that only dynamic drivers can offer, yet retains the lush, accurate and crystal clear clarity of BA drivers we have all come to appreciate. 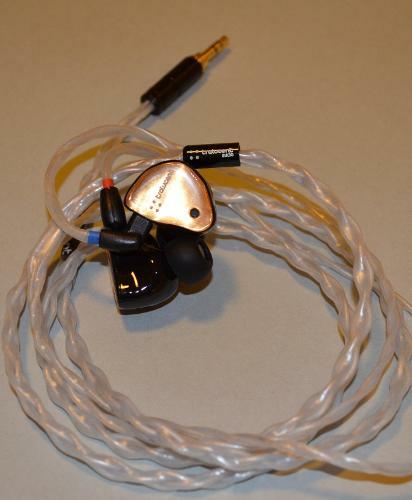 The entire package is a coherent, accurate and dynamic sounding earpiece that will have you forget that you are not wearing a high end full sized headphone. Each pair of 1plus2 is hand made to order." 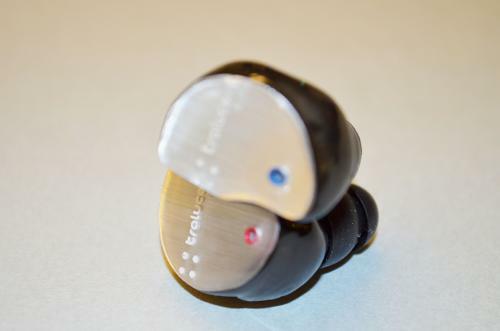 Tralucent has decided to revise their 1Plus2 model from the feedback of others who have demoed their units. The revised unit will sport new high end dynamic drivers, different tuning, silver wiring used for the internals, and an updated cable with recessed pins. The price is set at $1295.00 directly from Tralucent Audio or from their distributor Musicaacoustics. The unit comes standard with a 6N OCC Pure Silver cable and there are upgrade options for the Gold and Uber cables. The T1 portable amp caught me by surprise. 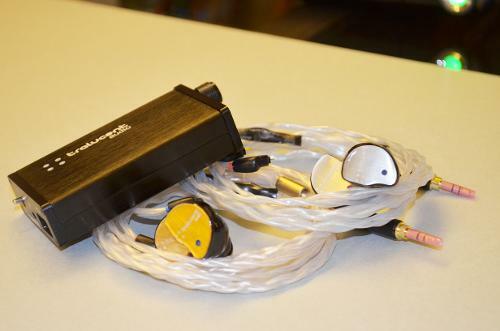 It's a decently small amp that gives you sound quality of a more expensive amp. The sound stage is rather large. The sound is smooth and musical. The tonality is exceptional and by far my favorite aspect of this amp. The amp has really great control of the source and due to this is versatile. 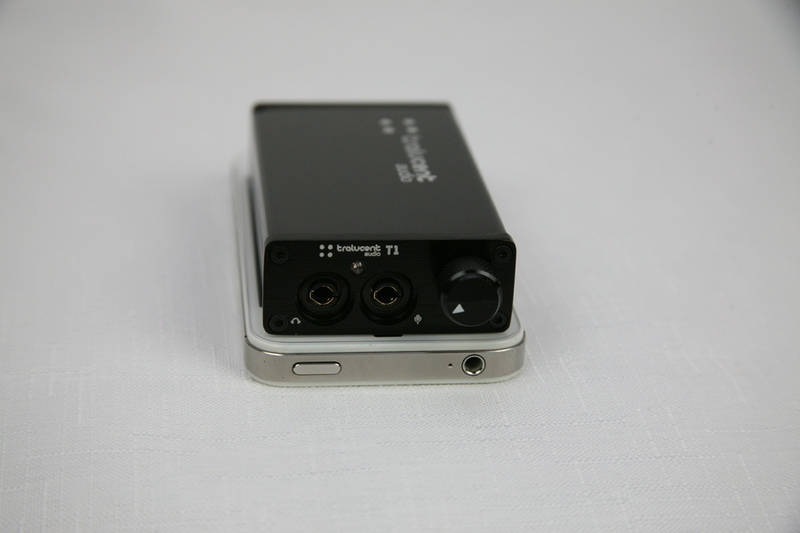 The form factor of this amp is similar to the UHA6 MKII but slightly thinner in width. Battery life is 20+ hours (up to 80 from specs). 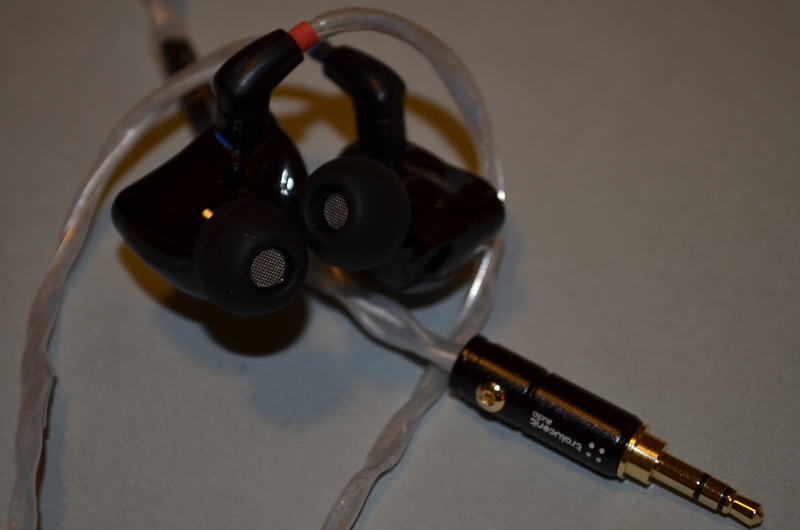 The unit lacks gain controls but surprisingly enough the unit has enough power where I didn't find this a problem with my IEMs. There's also enough headroom on the volume pot where I didn't run into problems with channel imbalance. It is a powerful amp so as long as you have some headroom on your DAC section or something not overly powerful you should be fine on the volume pot. I was under the impression this unit has an output of 8 ohms but that is not the case. It is .02 Ohms so it will play nicely with sensitive IEMs. For more impressions/reviews regarding the T1 Amp check out to the links below. Hello folks Tralucent Audio is having a demo tour of their products and I am in the process of selecting 12 individuals (plus others) to demo their products and in return write a review/impressions here on the thread. The selected individuals are listed below. Looking forward to hearing more comparisons . Rockbox on the iPod Classic? It's happening, so do it! but I have no idea what conditions that was under. >I'll try to dig those up later and link them to this thread. >They are intended to be full custom IEMs but I'm sure the company can accommodate for you folks who would rather have a universal version. I'm still debating myself weather or not to get my unit turned into the intended customs. I am that happy with them as is in the universal form. I think that is saying a lot. hmph. so you already got a pair? Yeah I actually bought my demo unit outright. I loved them so much I told them they couldn't have them back . I'm curious though about getting them re-shelled into the custom they are intended to be. 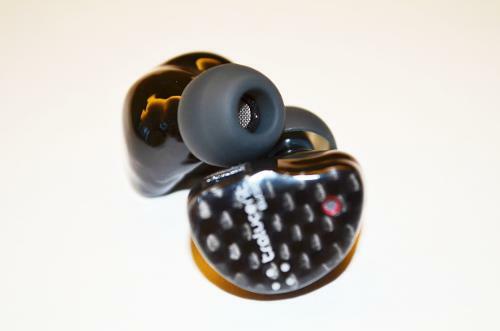 I'm not sure if that is just hype though from others or if the other companies just didn't know how to make proper universal forms of their IEMs. These are spot on IMO in universal form. If it could get any better, I'm all ears . Regarding the battery life, I'm not exactly sure how long it lasts but I'm positive it is over 20 hours. In my case I'm spoiled with that as I'm not use to getting over 10 hours on my previous amps . >Yeah I actually bought my demo unit outright. I loved them so much I told them they couldn't have them back . 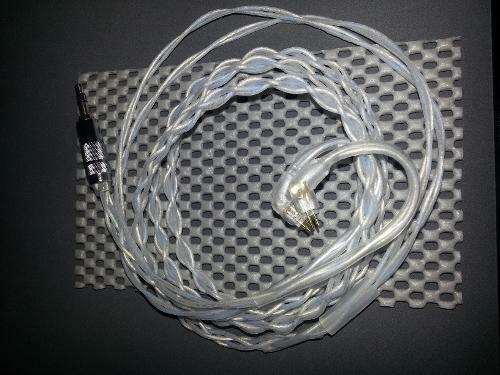 Yeah I had forgot to mention they will also be offering such high-grade silver cables that will be cheaper than the competition and higher quality (at least that is what I'm being told . and had to go back to US. >Yeah I had forgot to mention they will also be offering such high-grade silver cables that will be cheaper than the competition and higher quality (at least that is what I'm being told . we were told so too. Yeah well Shotgunshane and Soundbear will be demoing that unit and will be posting accordingly on this thread later on. 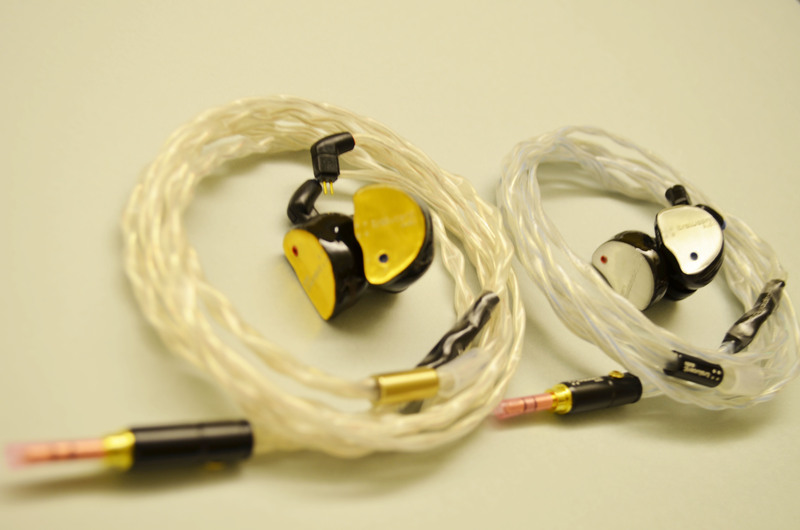 I'll add another picture of a silver cable from Tralucent Audio in a moment. So you got to listen to it? Would you share any of your impressions of the sound here? Thanks . >So you got to listen to it? Would you share any of your impressions of the sound here? Thanks . Impressions wise, I agree with what you've posted and there's a link to my ones in the meet threads above. In short - very deep bass (excellent sub-bass quality and quantity similar to Audeze's LCD2 and 3, and neither mid bass nor sub bass are bloated or perceivably intrude into lower mids), extended and perceivably detailed but not harsh or sibilant highs, and tastefully forward mids, but again, not over the top. The demo unit was comfortable and the cable was pretty ... Couldn't really see into the nozzle, but it looked like there was a twkf (or not?) stuck in the nozzle, and a dynamic driver above it in the body. 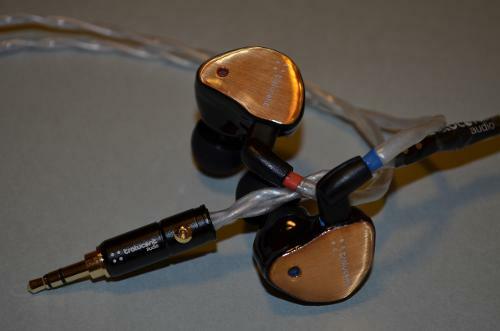 >I'm not sure if that is just hype though from others or if the other companies just didn't know how to make proper universal forms of their IEMs. These are spot on IMO in universal form. If it could get any better, I'm all ears . hard to tell, Heir seemed to have produced some 3 and 4 driver universal versions of their customs and say they sound the same as universals (non are hybrids unfortunately). UM prefer not to, but will, if you ask them to(I have 3 incl merlin ), and have several form factors. I think they're mostly citing comfort and seal/isolation not being as good as full customs (on average?). It's always a balancing act for the universal versions of the UM universals I've tried - the larger the faceplate - the more it isolates - but the more the chances you'd not be able to use them comfortably? They also had shallow nozzle versions (i found them horrible), and one similar to the 1+2 form factor (that was pretty good). I've tried to get Heir to do a custom universal about 1/2 a year ago, and they didn't have any good examples on hand, but John was offering to use a generic size faceplate, and to use my impressions to angle the nozzle. In short - both companies seemed worried about returns for fit fixes, but that happens to customs anyway. Nice. Well even if I get them turned into customs I'm not sure if I want a deep fit. My ears a super sensitive and don't play well with acrylic in my ears. I was actually hoping for a possible silicone shell as that would most likely solve the ear pains/cuts from customs. At least that was my experience with the TF10s which IMO wasn't even worth re-shelling... I actually found them more comfortable in universal form Go figure. Nice. Well even if I get them turned into customs I'm not sure if I want a deep fit. 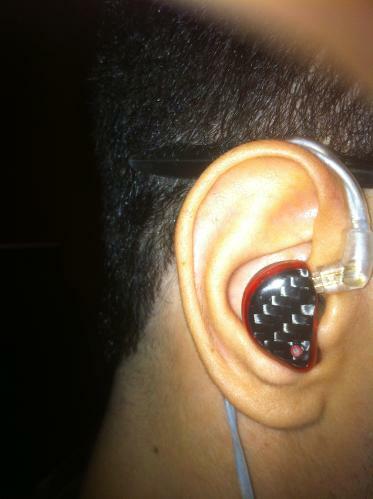 My ears a super sensitive and don't play well with acrylic ion my ears. 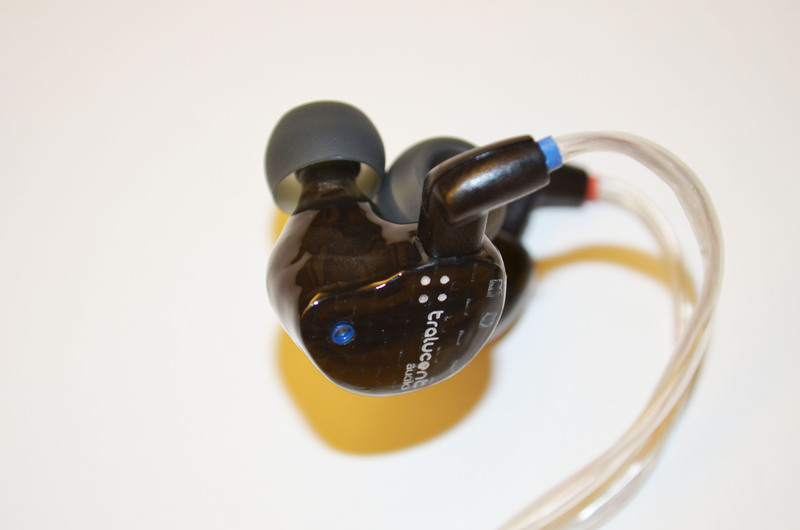 I was actually hoping for a possible silicone shell as that would most likely solve the ear pains/cuts from customs. At least that was my experience with the TF10s which IMO wasn't even worth re-shelling... I actually found them more comfortable in universal form Go figure. "Life is a Song... Love is the Music"